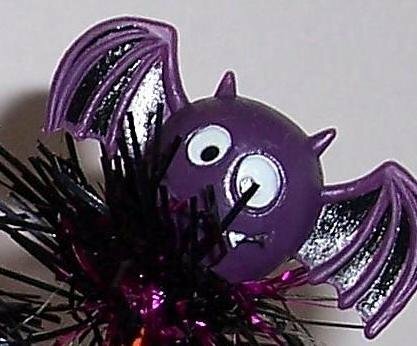 Solid vinyl characters on springs with festive tinsel collars- Pumpkin, Mummy and Bat. This set contains two of each character, one group in blue ink and one group in black ink. Wrapped in zig-zag pattern Duck brand duct tape.